Onekama serves as the southern gateway for the M22 Scenic Heritage Route. Since 1973 this "Two Lake Town"(Lake Michigan and Portage Lake) has been entertaining its residents, both year-round and seasonal, as well as thousands of guests from the surrounding areas with the annual Onekama Days Celebration. Always on the first full weekend of August, Onekama Days includes a wide range of activities, taking place downtown at the Village Park and at the Manistee County Fairgrounds. Among them are arts & crafts, 5k run and walk, tennis tournament, classic car show, church bazaars and luncheons, hospitality tent, kids activities, dances, Friday night fireworks and Sunday parade. Here's what happened in 2018. 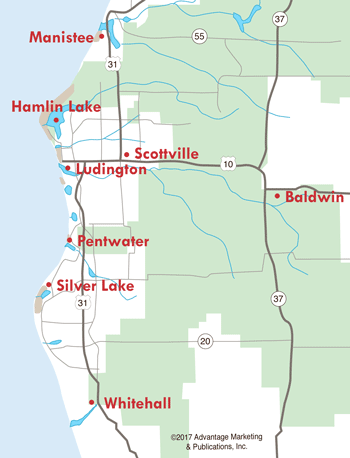 Most events take part at the Manistee County Fairgrounds or downtown Village Park. 6pm-10pm - Bingo at the Lions Pavilion, fairgrounds. 2-7pm - Lions Arts & Crafts Fair, fairgrounds. 2-6pm - Onekama Farm & Flea. 3pm-7pm - PLA Craft Beer Tasting, village park. 5pm-7pm - PLS Pig Roast for scholarships, village park. 7-9pm - Free Concert with Feral Cats. Dusk - Fireworks over Portage Lake. 8am-12pm - Lions Breakfast, fairgrounds. 8:30am- 5k Run and 1Mile Fun Run, village park. 8:30am - Warren Vaughan Doubles Tennis Tournament (tennis courts). 9am-3pm - Trinity Lutheran farmers market, bake & craft sale. 9am-2:30pm - Classic Car Show, village park. 10am-2pm - Onekama Farm & Flea. 10am-7pm - Lions Arts & Crafts, fairgrounds. 11am-2pm - Trinity Lutheran Salad Social. 1-4pm - 1, Rocks Rock Painting, North Point Park. 12:30pm-4:30pm - Show Us Your Art & Sale, Yellow Dog. 2-3pm - Live Music with The Three Ds, fairgrounds. 3pm - Wiffle Ball, school lawn. 4-7pm - Lions Grilled Steak Dinner, fairgrounds. 7pm - Bump N Run & Demo Derby, fairgrounds. 9pm-12am - Midnight Lions Dance Party with The Ones, village park. 8am-11am - Lions Breakfast, fairgrounds. 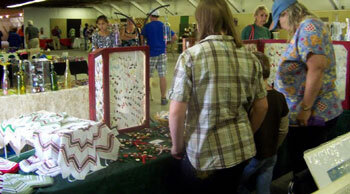 9am-4pm - Lions Arts and Crafts Show, fairgrounds. 1pm - Grand Parade (from Village Park to Dyke Street). 1-3pm - Free Live Concert by John Pomeroy, fairgrounds. 1:30-2pm - 25th Anniversary Petunia Parade Celebration, fairgrounds. 4:30pm, 1, Rocks Rock Painting, fairgrounds. 3:30pm - Lions Raffle, fairgrounds. 7pm - Concert in the Village Park, Benzie Playboys.